November 15, 2018 – Fullerton, CA – A graduation ceremony recently celebrated completion for the NOC Leadership Academy Class of 2018. W Power provided key corporate sponsorship of the program presented by the North Orange County Chamber (NOCC). 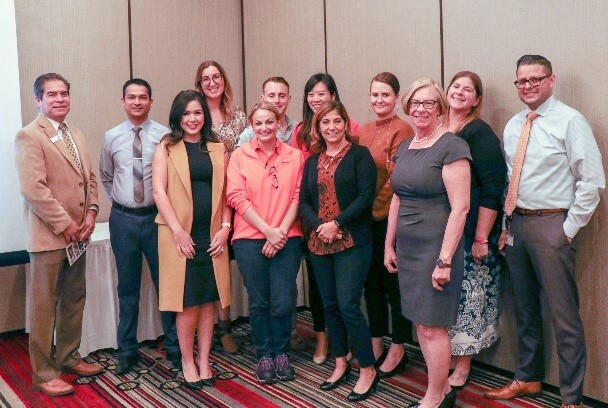 The NOC Leadership Academy provides professionals with access to the centers of influence throughout the region and teaches them how to utilize these resources for the benefit of their businesses. The curriculum typically focuses on core areas throughout NOC. Individuals may choose to participate in the full certificate program or may purchase seminars individually, based on their interests and needs. The yearlong program focused on topics such as Manufacturing, Public Health, Non-Profits, Tourism, Transportation, Government, Education, Energy, Public Works and Public Safety. “W Power really enjoys participation in these types of programs that groom our future business and community leaders to be successful in their endeavors and give back to their communities”, said Kara Miles, President of W Power. “We couldn’t provide a program as intensive as the Leadership Academy without partnership from the business community. 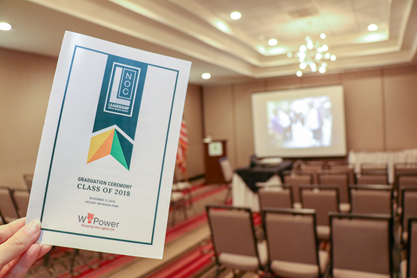 W Power has been a great partner in their support of the NOC Chamber of Commerce and more specifically their sponsorship of the Leadership Academy”, said Theresa Harvey, President of the NOCCC.